Business card maker software creates and prints business specific cards using flexible print settings. Create and print bulk business cards with multiple colors using the added feature of software including color, print and text settings. Software provides inbuilt email setting option to send designed business card at specified email id. Company provides business card maker software to create and design professional quality business cards, visiting cards, security cards. Software provides a solution to design and print multi copies of business cards by changing the text and barcode value etc. Create business cards with the versatile image designing objects including Text, barcode, Pencil, Arc, Picture, Ellipse, Rectangle and Star objects. 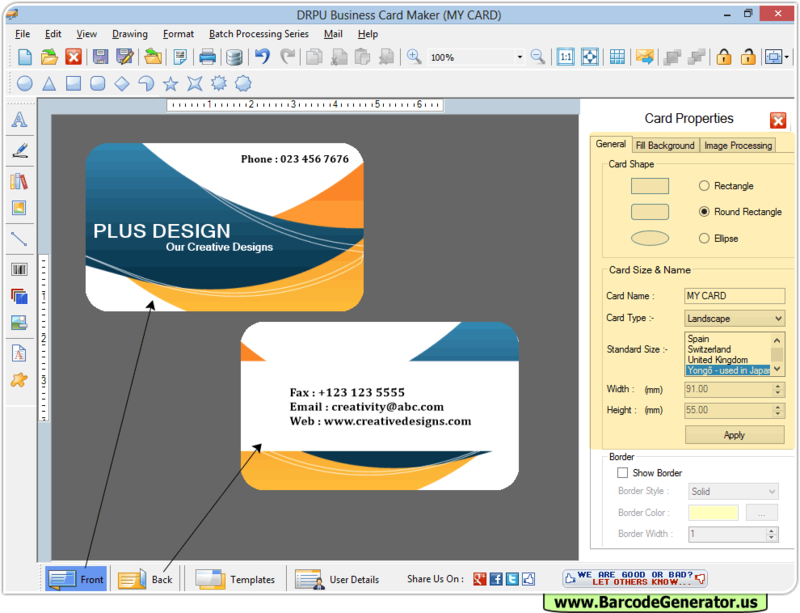 Create your business card using DRPU Business Card Maker Software. Provides option to create new card or modify existing business card. Image designing tools is used to create and print customized business cards. Generate high resolution and versatile business cards as per user requirement to get your business at the top of world. Software provides e-mail setting feature to send designed business card to the specified email id. 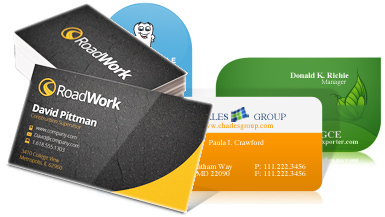 Software is reasonably priced and provides most convenient way to generate finest quality of business cards.